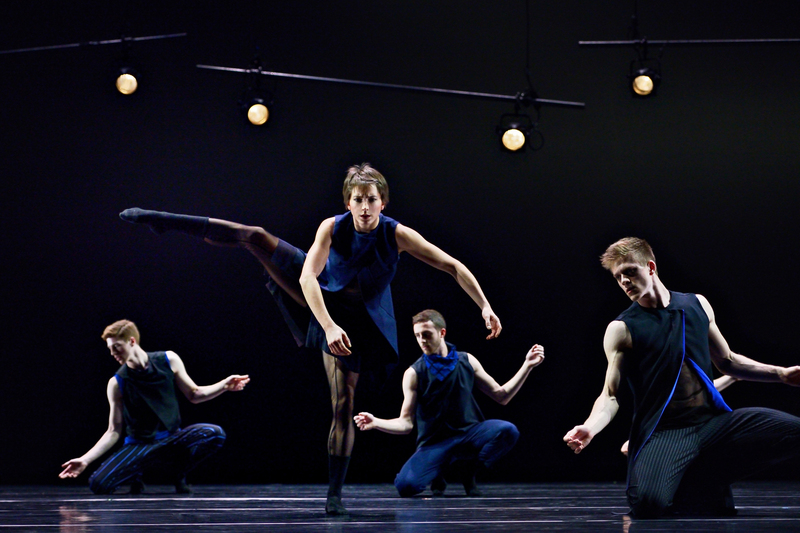 Ballet BC’s 29th season opener was another triple bill of bold contemporary ballet. The show’s title, No. 29, also refers to their 29th new creation since renewing the company in 2009. A.U.R.A. (Anarchist Unit Related to Art) by Jacopo Godani was first presented by Ballet BC in 2012, and this stark, minimalist work was worth seeing a second time. The lines of bright fluorescents hanging above the stage moved up and down to create very different moods throughout the piece. This work provided beautiful partner work between two of the male dancers and had a strong, aggressive tone that was emphasized by the blunt music of 48nord. My favourite piece of the evening was Fernando Hernando Magadan’s world premiere of White Act. Inspired by La Sylphide and the romantic era, when tutus were long and ballets were lengthy love stories, this work dealt with the idea of the unattainable and temptation of the unknown. The desire to find true love sometimes leads us down dangerous paths, and this idea was represented through stunning emotional choreography, as the dancers seemed to embody and break free from the tropes of classical romantic ballets. The final piece, An Instant, was a world premiere by Lesley Telford that had a beautiful, cinematic quality. It was inspired by a poem called “Could Have” by Wislawa Szymborska that was recited as the dancers represented the themes it contained. The cinematic quality of this work was emphasized in the way the choreography seemed to pause, rewind, and move in slow motion as some sections were repeated or slowed down for emphasis. We were left with a haunting image of one dancer backing away from another as if in slow motion, and the poetic words, “It could have happened. It had to happen. It happened earlier. Later. Nearer. Farther off,” ringing in our ears.